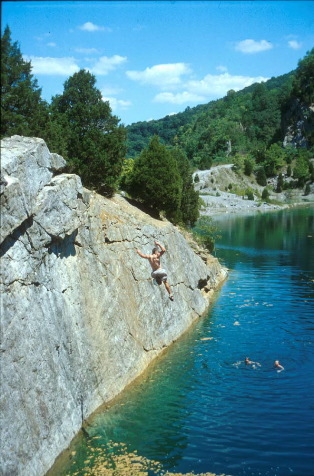 At the local rock quarry on the smaller jump, about 40 feet. 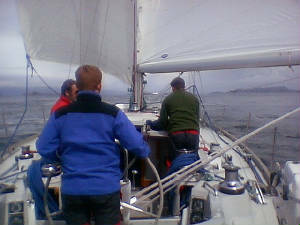 A Nicholson 55 sailboat that I was on for several weeks throughout the British Isles during the Summer of 2004. Was part of an expedition with the Royal Army. 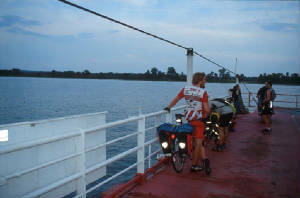 On the Ferry to cross the Ohio River. 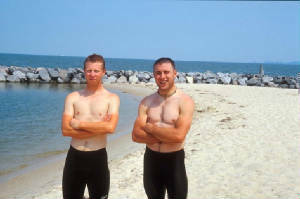 Ben and I at the FINISH, the Atlantic Ocean. 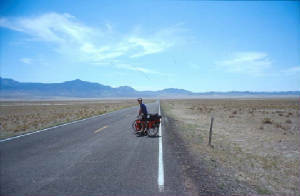 A German friend Basti who we met on the transamerica ride. 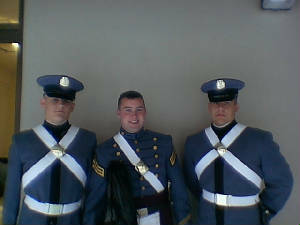 Myself and my rats (L) Nate Stevenson and (R) Mike Boykin, about to march in one of the many parades at VMI.